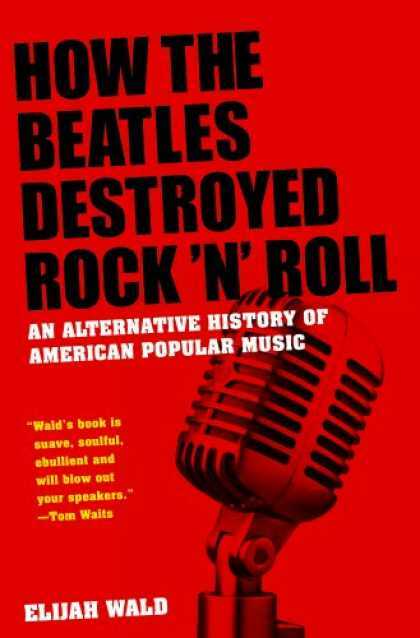 Elijah Wald’s provocatively titled book slipped into the marketplace about the same time the much-ballyhooed Beatles remasters slammed retail shelves. But Wald isn’t trying to turn fans against their beloved Fab Four. He’s trying to reinforce their importance by approaching their arrival with a magical mystery tour that examines music from a populist perspective. For the most part, Wald’s narrative manages to ignore critics and historians and answer the greater question of “Why did people like this?” Starting 100 years ago with ragtime, Wald walks through the growth, progression and trends that emerged in the first half of the 20th century. Wald focuses on the Beatles because they were able to make artistically respectable music while staying true to their genre. Their foil is Paul Whiteman, who despite accomplishing the same feat, has been forgotten. Whiteman was a Caucasian big band leader who crowned himself “King of Jazz.” Despite earning the endorsements from Duke Ellington and Louis Armstrong and selling millions of records, Whiteman’s career has been largely dismissed by jazz historians because his arrangements were so genteel. Indeed, part of Whiteman’s mission was to sand the rough edges off of jazz and respectable, if unchallenging, middle-brow dance music. By eschewing the conventional narrative based on critical favorites, Wald shows how mainstream performers and tastes shaped the progression of music. Traditional viewpoints and assumptions are confounded again and again as Wald shows how the popular persuades the acclaimed. For example, Wald tells how Guy Lombardo’s arrangements influenced Armstrong’s celebrated Hot Five and Hot Seven records. He also builds interesting parallels between celebrated trendsetters and those who are slighted for their foresight. In one instance, romantic crooner Vaughn Monroe was savaged in the press when his stage shows were little more than reconstructions of his singles. Yet only a few years later, as recorded music replaced live interpretations on the radio, it became what audiences expected. Wald covers a lot of territory in a hurry, but it rarely feels like any corners are cut. Although the history is told in a linear fashion, Wald is a master of connecting previously unseen dots. The lines he draws between the Bennie Moten Orchestra and Elvis Presley, or Parlimanent-Funkadelic and Benny Goodman are both ingenious and obvious in retrospect. While not all of Wald’s parallels or arguments work, they are worth pondering. 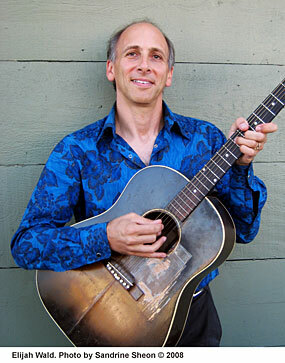 In a way, “How the Beatles Destroyed Rock and Roll” is the natural outgrowth of Wald’s previous book, “Escaping the Delta.” That volume examined the curious arrival of Robert Johnson as the figurehead of “authentic” pre-war blues. In looking at Johnson’s forgotten peers like Peetey Wheatstraw and Bumble Bee Slim, Wald not only places Johnson’s music in context, but draws attention to arguably more deserving performers. Admittedly, Wald may be giving himself the upper hand by focusing on unheard and unheralded performers. But while Wald’s arguments are contrarian, they are also well-researched and measured. In fact, the only argument Wald fails to back up is his title. Not only does Wald leave the Fab Four’s legacy intact, he doesn’t address them directly until the final two chapters. Fans of the British Invasion and Boomers looking to relieve their adolescence are bound to be disappointed. Armchair historians and musicologists are bound to be the most pleased with this text. Wald is not encouraging the reader to explore Whiteman’s catalog or discard his or her favorite performers, only look at them through a longer lens.